Our State of the art trucks are rolling through the DFW area. We are serving the most awesome NEW York Style Pizza and Spiedies made with Fresh Dough &amp; Fresh ingredients. 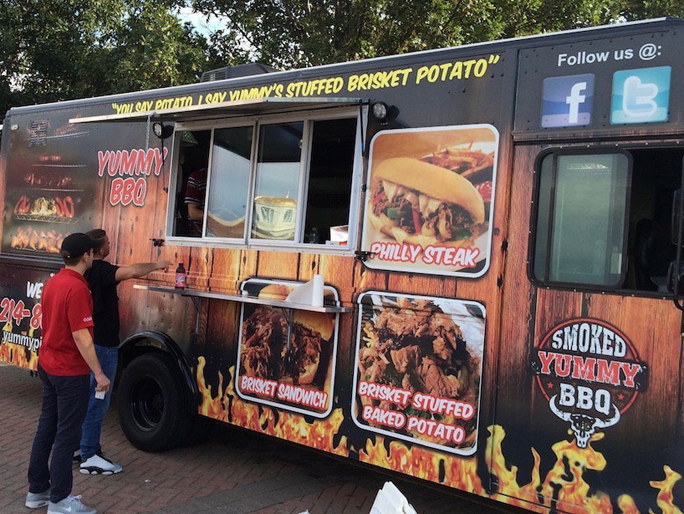 The Yummy Pizza Truck is serving at Klyde Warren Park every Wednesday through Sunday and the Yummy Spiedies Truck is also available for all types of catering events all week long. Enjoy our delicious stuffers made fresh on site in front of your eyes. Crisp and moist wings that will melt in your mouth and tasty lamb or Chicken Gyros that will make you feel like your in Greece. Try our Spiedies Steak or chicken that is marinated over night grilled with onions, tomato's and green pepper, served on an Italian hoagie with chipotle mayo sauce or as a kabob with a side salad. Awesome gluten-free pizza, best I've had in Dallas and this city has a lot. No idea what hours or time they're here at Klyde Warren Park, just happened upon them and glad I did! Pepperoni is thick slices that are delicious, cheese is super stretchy and chewy - in a word perfect. Made to order in about 5 minutes. Check them out! These guys were in front of the Irving Convention Center while I was attending comic con. I ordered the lamb gyro and it was sooooo good! The veggies were fresh as well as the lamb. It was served quickly, efficiently, and most importantly: hot. I felt the gyro was very reasonable for the price. On revisit - no change, still 5 star. Perfect Greek gyro sandwich, off the chart yummy cannolis.rnThe truck owner is quite personable too. You can see extreme conscientiousness and eagerness to please. These are likable folks with good product. We just moved into a new office and they have food trucks come to the office everyday. Yummy Pizza is the only one I like. Its AWESOME! I got their spicy buffalo chicken pizza and it is perfect. 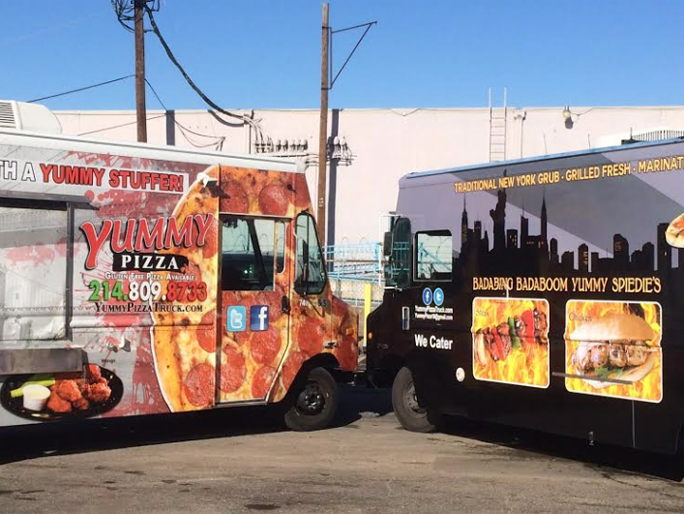 I crave their pizza and get really excited when I see them roll up outside. 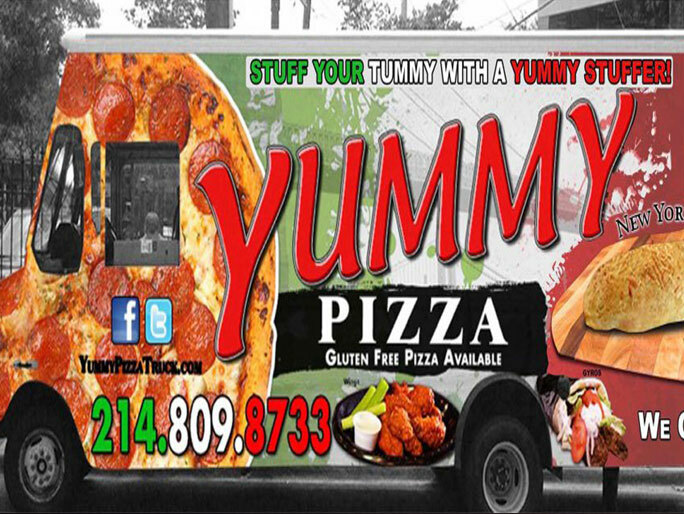 Copyright © 2016 Yummy Pizza Truck. All rights reserved.